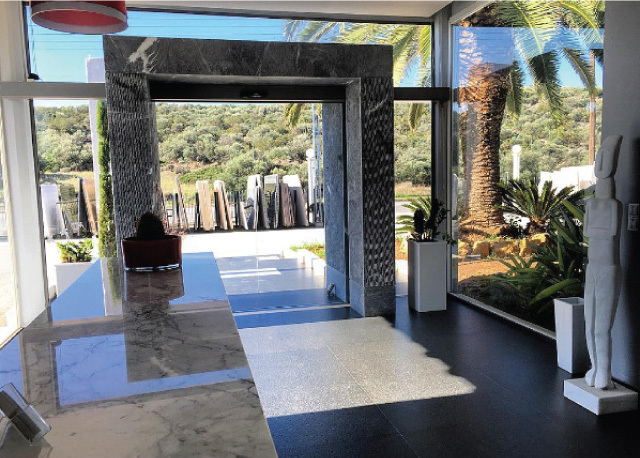 Pnevmatikos group is a team of collaborating companies that cover a wide range of products, application and services that have to do with marble and natural stones. Pnevmatikos Marble, Marmero and Marblellous, work closely together to serve every need and exclusive demand of their clients, in Greece, UK and all over the world. Pnevmatikos Company was founded in 1976 in Athens and is specialized in retail but also wholesale commerce. Marble, granite and many other natural stones are our area of superb expertise. Our company’s mission all these years has been the absolute customer satisfaction, not only in terms of excellence of service in our highly aesthetic venues but also in the unconditional quality of finished goods. All these years, this mission has been unified and it is till now inseparable with the company name. Marblellous introduces an original line of contemporary design items, useful and decorative, handcrafted and inspired by our love for creativity. We welcome you to the world of a material that recreates our souls for centuries. We only hope that you fall in love too with this refined material that is charged with energy and remains perpetually free of what’s aesthetically unnecessary. Marble is an art on its own. ‘Marmero’ comes from the ancient Greek verb ‘μαρμαίρω’ that means ‘to reflect light’. At Marmero we source our passion for timelessness from our two-generations experience working with marble only to focus on our vision for on-going originality and innovation. After three decades of supplying fine marble and natural stones to the Greek and more recently to the British market, we are now confidently introducing our London clients to our ‘brave new world’ of cutting-edge design and stunning deco ideas never before considered.